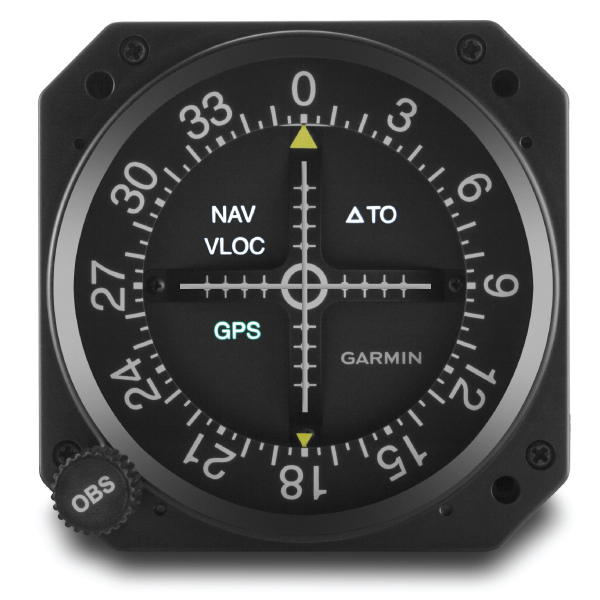 Stay on course with the GI 106B, a high-quality course deviation indicator from Garmin. The panel-mounted GI 106B includes a VOR/LOC/GPS needle as well as a glideslope needle, which can be hidden and disabled by an installer if the glideslope functionality is not needed. 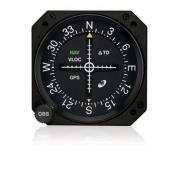 The GI 106B contains LED-lit GPS, NAV and VLOC mode annunciators, for an easy-to-read and modern look. TO/FROM annunciators are also LED, and when invalid, the needles are simply hidden out of the pilot’s view instead of using conventional invalid flags. The GI 106B is compatible with the same pinout connections as the legacy GI 102A and GI 106A course deviation indicators, allowing for an easy upgrade path. It also features anti-reflective lenses and LED flood lighting for viewing at night. Please contact your local dealer for more information.